If you’ve built your own home you may think that having experience with residential construction will prepare you for an experience in commercial construction. In some ways it will help, but there are several major differences between the two. 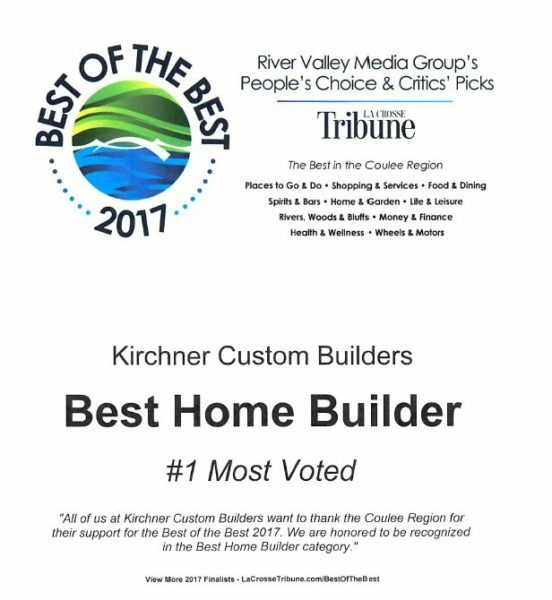 Marty Kirchner, of Kirchner Custom Builders, offered his observations on the matter based on his years of experience in both residential and commercial construction. Below you will find 5 of the most notable differences between residential and commercial construction based on his insights. 1. An architect or engineer is a requirement for most commercial construction. For residential construction in the state of Wisconsin; an architect is not legally required, a skilled contractor or draftsman can also provide all the necessary construction plans. For commercial construction, Wisconsin state law says that an architect or engineer must be used to draft most commercial construction plans. 2. 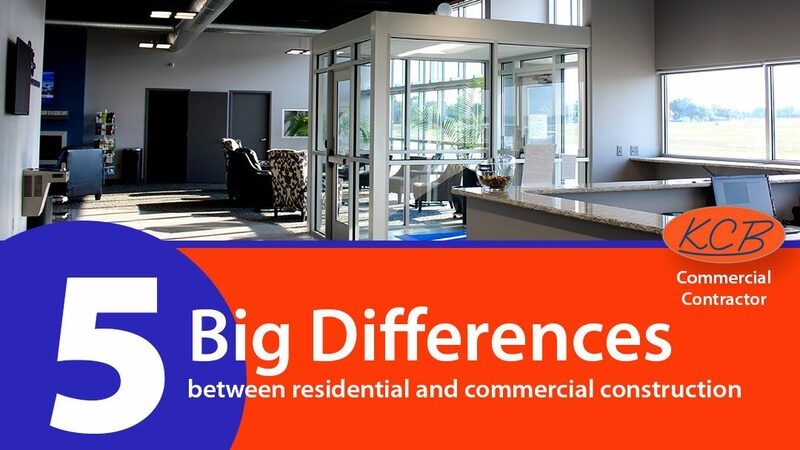 Commercial construction involves considerably more administrative effort. Though the permitting process for residential construction can sometimes vary, residential permitting is almost always faster and less complicated than obtaining permits for commercial projects. A home is a private residence most often for a single family. Commercial buildings can have up to 1000s of people frequenting them on a daily basis. Because of this, commercial construction is more regulated. There are numerous building codes and laws to assure that every aspect of the building is safe and accessible for all people. The additional codes and laws results in a permit process that is more intensive and which requires significantly more organization and time. 3. You will pay more for “dirt” in commercial construction. Part of residential construction is buying property for your home, and the budget for land of a custom built home is usually around 15 – 25% of the cost of the home. This isn’t the case for commercial construction projects. The “dirt” you buy for your commercial project is a priority because location is a critical factor for businesses, and a good location can cost a lot of money. Land is often a substantial part of the total construction expense;it can be, in some instances, greater than actual construction costs. 4. Commercial construction sometimes involves owner/tenant coordination. In residential construction, the owner can do whatever he or she wishes with the design, layout, and finishings of the home. But in many cases, commercial construction is done within a building that is owned by a different entity. If your business is leasing a space in which you want to perform major remodeling in order to make that space appropriate for your business, then you must have approval from the owner for the changes you want to make. This is a common procedure, and building owners are often very familiar with it. But it’s important that you, as a tenant, are prepared to acquire the owner’s approval for any construction projects within a leased commercial space. 5. Commercial construction is less personal. Residential construction is very personal. Every choice is filtered through an emotional lens because you’re building a home, a place you will spend a majority of your time for years to come. You want things to look and feel “just right” for you and your family. In commercial construction, decisions are filtered through a lens of practicality. The function of the building affects the bottom line of the business. You want things to look nice, of course, and they will, but most decisions are based on function, not aesthetics. The good news is, when decisions are less personal it tends to make them easier.